A three piece set in tan consisting of shoulder harness, belt kit and padded hip belt. 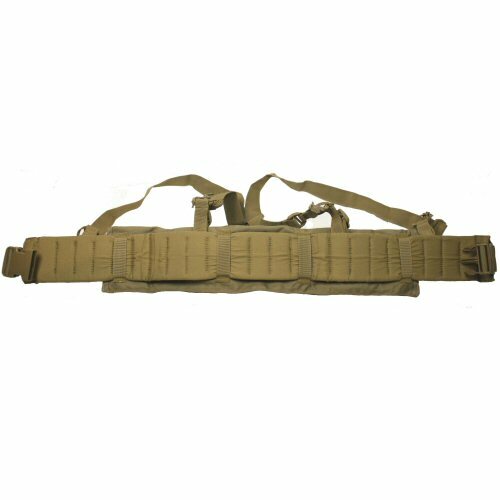 Once assembled, this is a lightweight MOLLE belt kit for wear on its own or below a plate carrier. 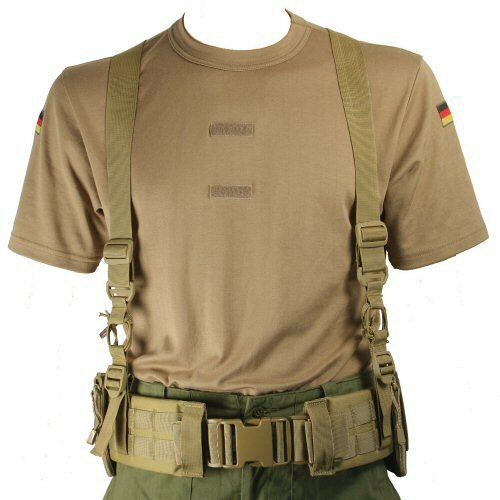 The shoulder harness is Cordura narrow webbing with UTX Flex military grade plastic slides and reducer furniture which is adjustable for overall height and the height of upper back crossover. 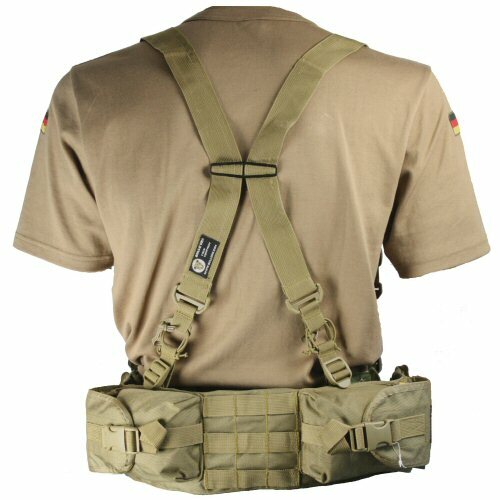 The shoulder harness is low profile for wear underneath the plate carrier where necessary. Elastic shock cords on all four points flex for easier movement and the harness fixes onto the hip belt with 25mm wide straps. 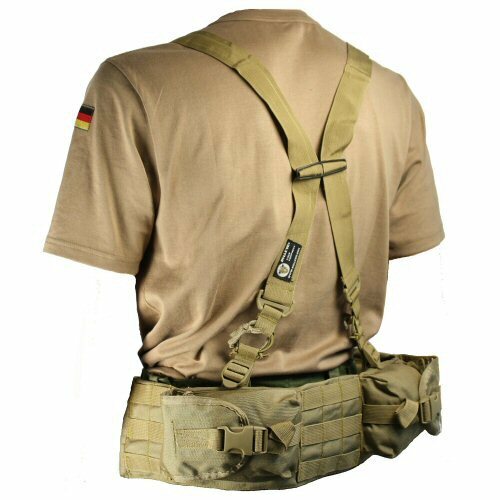 The belt kit consists of a lightweight Cordura roll which zips at both ends to allow for small documents to be securely carried within, two pockets each 16cm long, 10cm wide and 4cm deep with elastic cord and lid with adjustable quick release buckle, and MOLLE fitted sides and rear. The hip pad is made of 100% polyester with sewn in closed cell foam, 96cm long fitted with 50mm wide Cordura straps and quick release buckle. 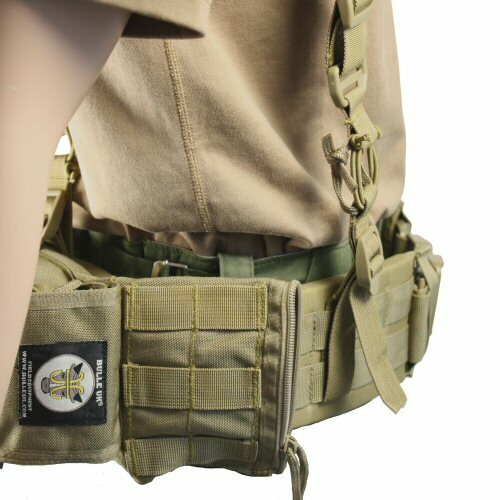 The hip pad has a double row of webbing sewn down at 40mm intervals which is suitable for mounting the shoulder harness, additional MOLLE pouches or belt keepers for drop leg pouches. The hip pad needs to be folded in to be inserted into the belt loops of the belt kit as it must be a snug fit. The belt loops are double bar tacked for strength. Some assembly required to ensure correct fit. 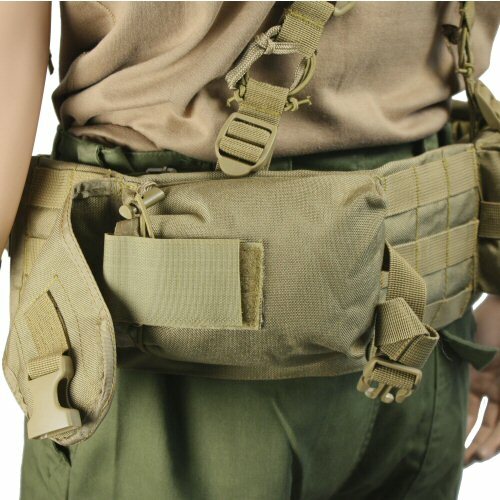 Extremely lightweight 'grab' belt which can be worn with armour or without armour and has storage for medical or survival utilities, important documents, spare magazines and other personal items. Rear of the belt kit.